• In 2010, the year before wolves were delisted, there were 109 confirmed wolf depredations on livestock in Idaho. Now livestock depredations by wolves are down by almost 50 percent (59 in 2015). • The most recent livestock attack by wolves occurred last October. We haven’t had a depredation-free stretch last this long since 2004. I’m also pleased to report Idaho’s elk herds are rebounding too, but there are still some places in Idaho where predation impacts are unacceptable. Conflicts are decreasing because regulated wolf hunting and trapping seasons are helping us balance predator and prey populations. As I write this, Fish and Game scientists are conducting the latest wolf population surveys. While these are not yet complete, it’s obvious we far exceed federal recovery levels of 100 wolves and 10 breeding pairs, and have met these levels for at least 16 years in a row. The bottom line is Idaho has a healthy, sustainable wolf population that is more than seven times higher than the federal recovery goal. 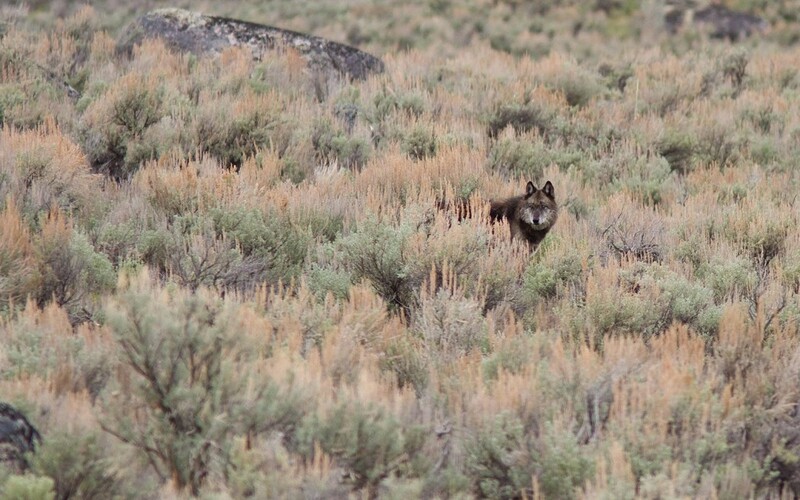 In a few short months, the federal five-year post-delisting oversight window will close and Idaho will continue to sustainably manage its wolves. A few advocacy groups are determined to keep federal oversight in place and their lawyers are already publishing articles making all sorts of claims that simply aren’t true. Professional wildlife scientists at Idaho Fish and Game monitor Idaho’s wolf population and all our monitoring reports are available on our website. The 2015 report will be available in early April. BGF Guest Author, Virgil Moore, is Idaho Fish and Game Director. Shoot all of the wolfs or poison them. We do not need wolfs in Washington State! Idiot Game Commission! How is it obvious? How do you KNOW these levels have been met and continue to be sustained? Be honest, if this was not the truth you and the Commission would find a way to make it the truth. I have never understood why Fish & Game commissions nationwide are run by hunters and trappers who do NOT see the value in maintaining a balanced ecosystem of all species that are indigenous to that system. It’s like the arial gunner is guarding the wolf house. I am sure that you do know that elk and other ungulates dwindle for reasons other than wolf depredation. Look at NH, their moose population has been decimated from those damn….ticks and other environmental issues.